I love poached eggs and while I can make them, I'm not very good at it. In fact, I find egg poaching to be a bit of a miserable task and I always end up with a few duds… I came across this method of faux poaching eggs in the Bon Appetite Cookbook which offered a much different recipe in terms of flavor and I knew I wanted to try this method. Though it involves a bit of oil and therefore isn't technically poaching, it gets the point across and comes really close to the real thing! It also ensures lovely shaped, perfectly cooked eggs that you wouldn't be embarrassed to serve to guests, so it's a winner in my book. What I particularly love about this method is that you can poach several eggs at once if you're feeding a group of people. Lately I've been a little obsessed with Red Leicester, a cheese that's fairly common here in the UK. 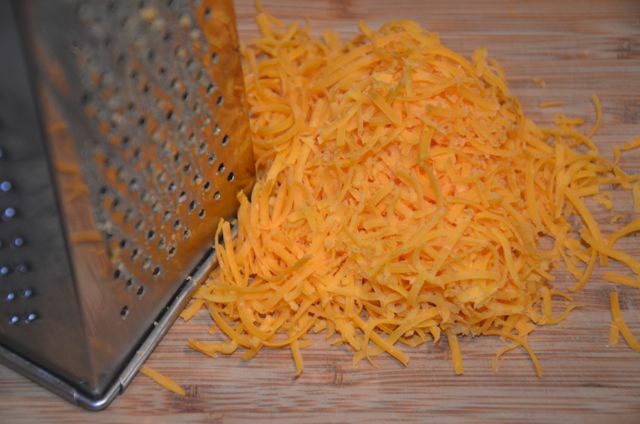 Its color is enticing and it's flavor rich and delicious, but if you can't find it in your local grocery store, you can substitute with a mature, sharp cheddar cheese and get a similar result. 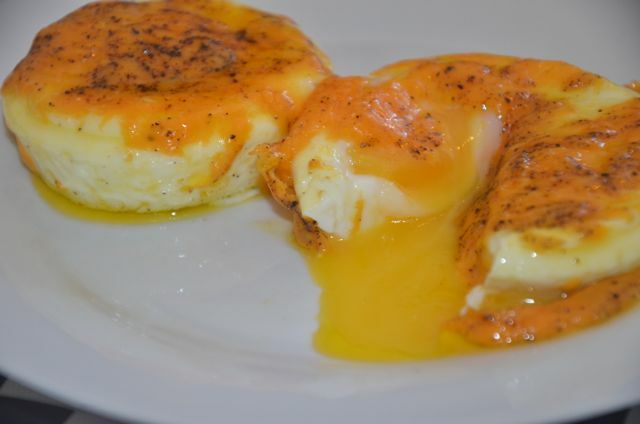 I love Red Leicester with eggs… It's a match made in heaven only complemented by the slight flavors of garlic and freshly ground black pepper. This dish is lovely for breakfast or brunch, but would also be brilliant as a starter. I've done the eggs on their own here, but for a morning meal try serving alongside some toast and smoked salmon. For a starter, this would be lovely with a crisply toasted small piece of bread or alongside some perfectly cooked asparagus. 1. Put a skillet or flame-proof casserole with a lid on medium-high heat and fill it just enough for the water to reach halfway up the side of the ramekin you are using to poach the egg. Before you start, you will want to make sure that you can fit the ramekin in the pan with the lid on. 2. Pour the oil into a ramekin and use a pastry brush to coat the bottom and sides. 3. 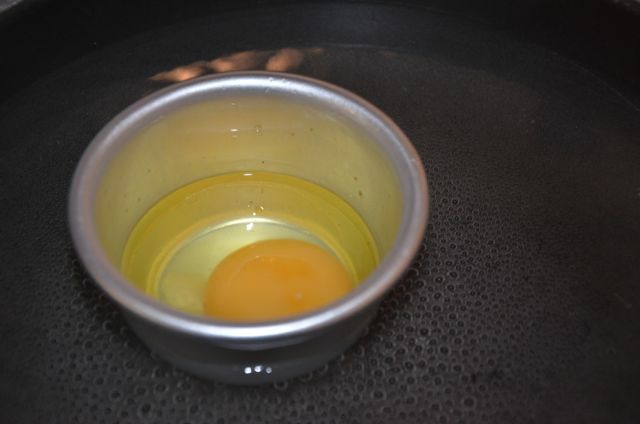 Crack the egg into the prepared ramekin. 4. When the water starts to bubble, reduce the heat to low and put the ramekin in the water. Cover the pan with the lid and let it cook for about 7 minutes or until the white part of the egg is almost completely set. You'll want to check it periodically throughout the cooking to make sure you don't overcook the egg. 5. Sprinkle the egg with cheese and several generous grinds of fresh black pepper. Cover again to cook for another 2-3 minutes or until the cheese has melted. 6. 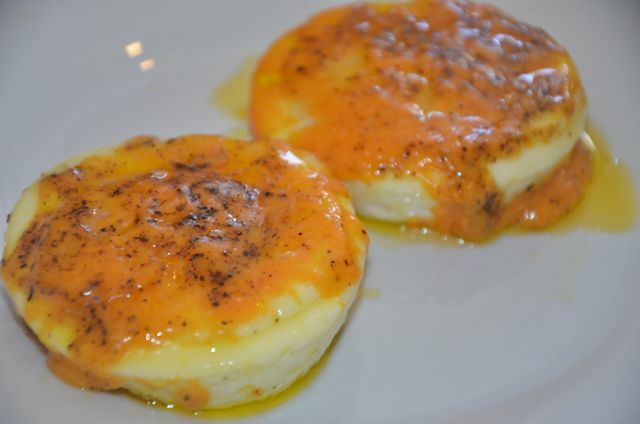 When the cheese is fully melted and the egg is cooked, carefully remove the ramekins and slide the egg onto the plate you are using to serve it. If necessary, use a spoon to slide around the sides and the bottom of the ramekin to remove the egg, taking care not to break the yolk. 7. Sprinkle lightly with sea salt flakes and serve hot.